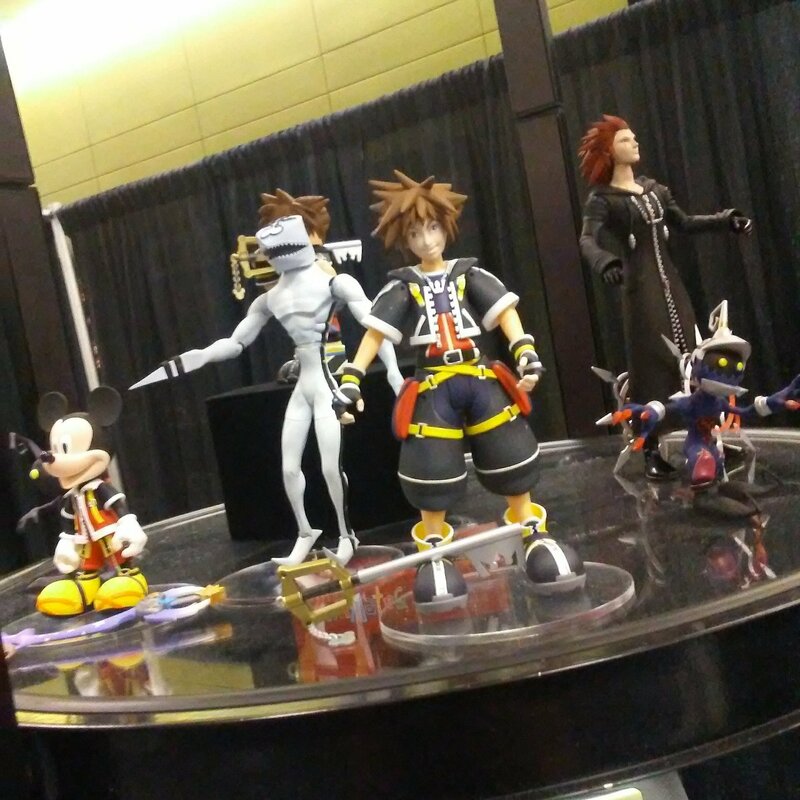 Last month at C2E2 in Chicago, Diamond Select Toys displayed their first assortment of Kingdom Hearts Select Action Figures. 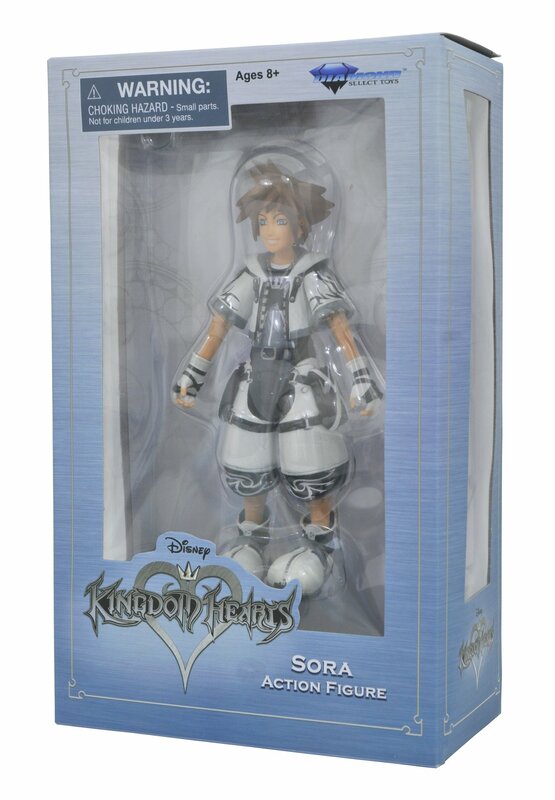 At the time, the only photos we had were very grainy cell phone images that didn’t show off the possible details in the figures. 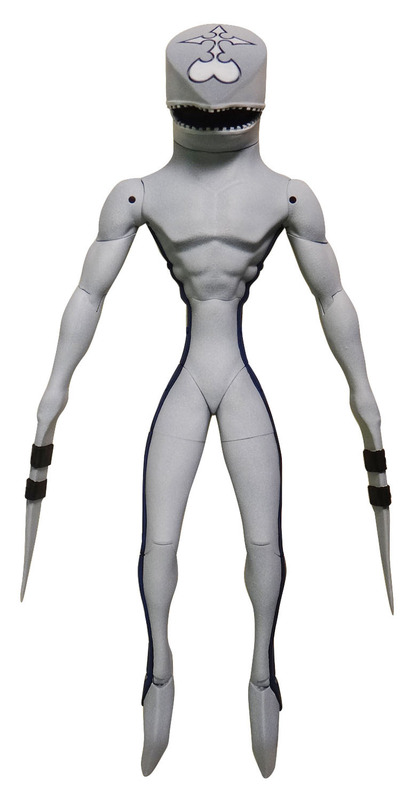 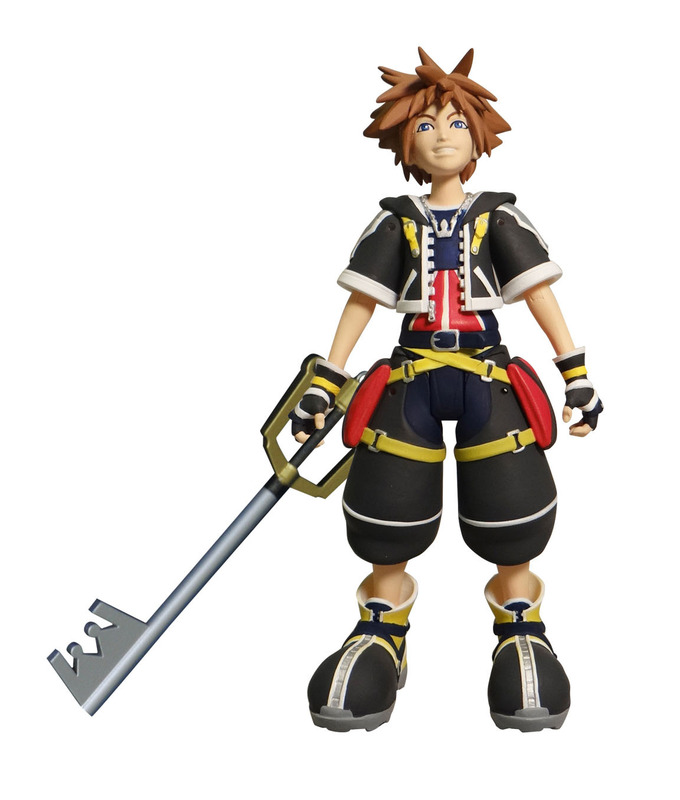 We now have our first official look at the figure courtesy of Gamespot. 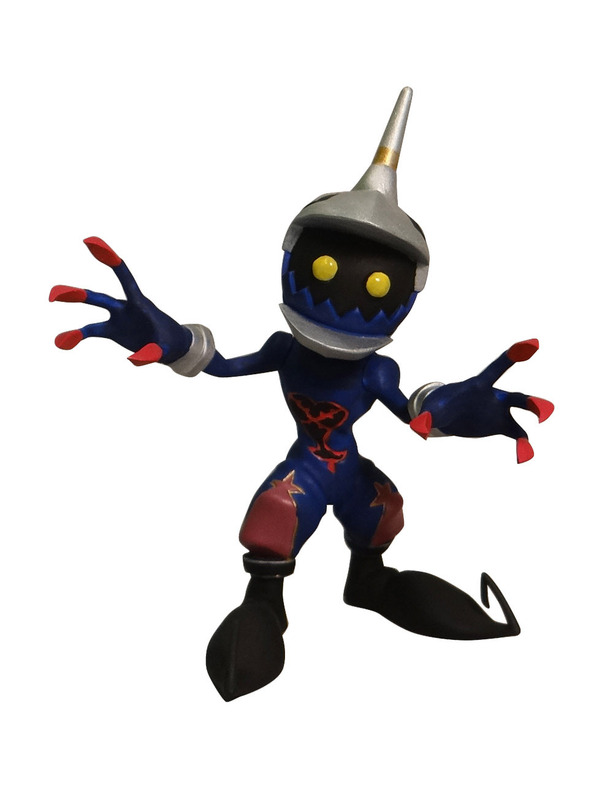 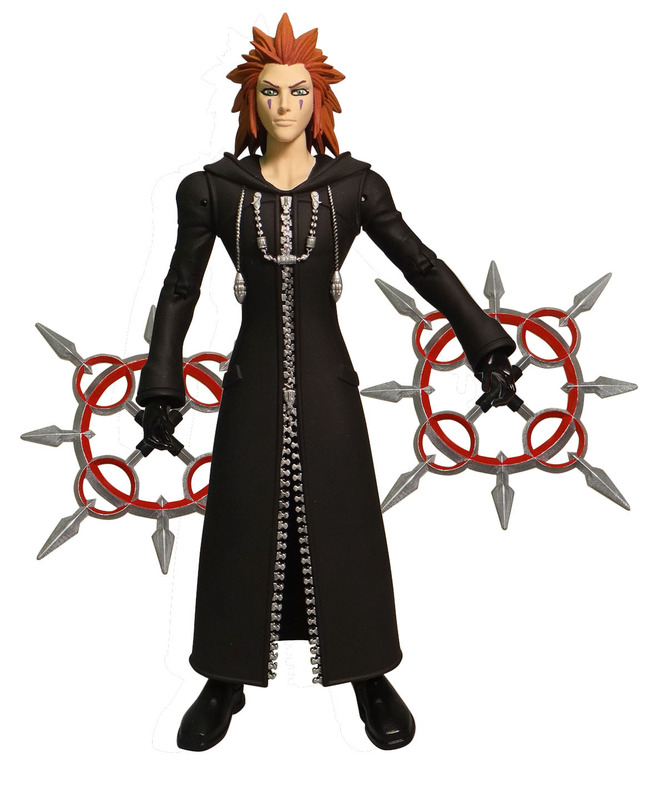 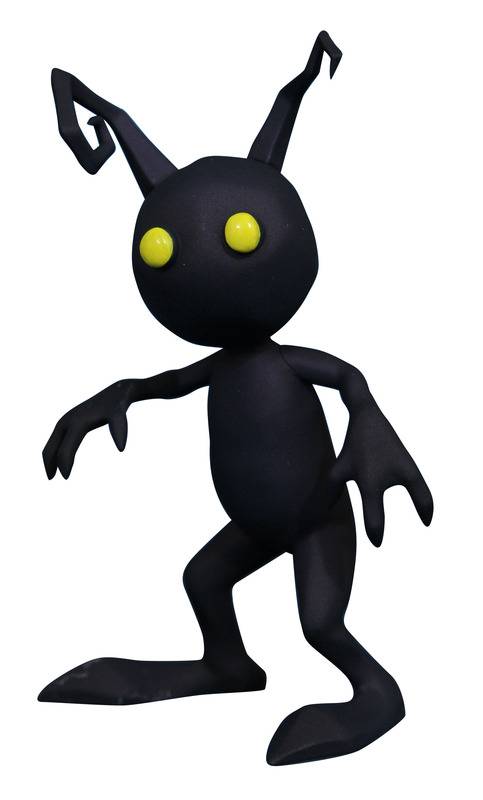 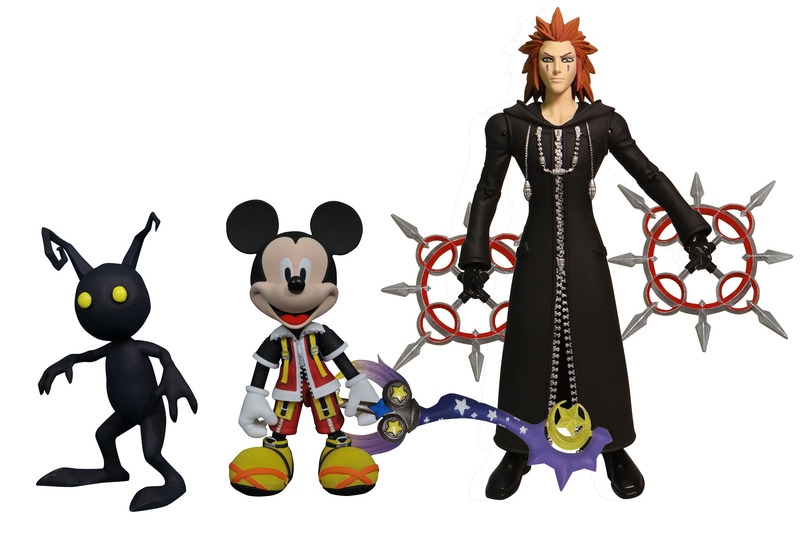 There will be 6 different Kingdom Heart Select Figures in the assortment. 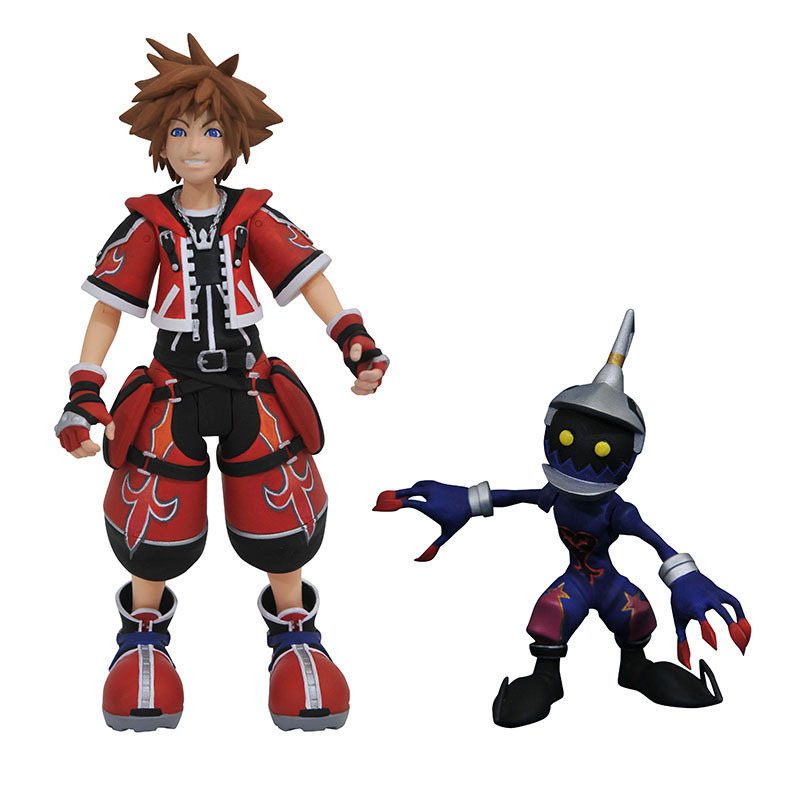 The figures are broken down into two different 3-packs. 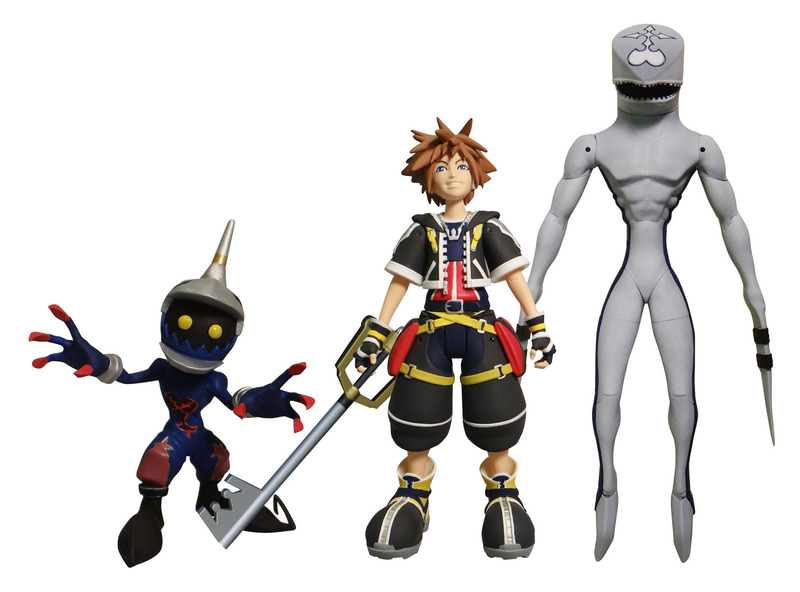 Each set is priced at $24.99, with the figures standing between 4″ and 7″ tall, depending on the character. 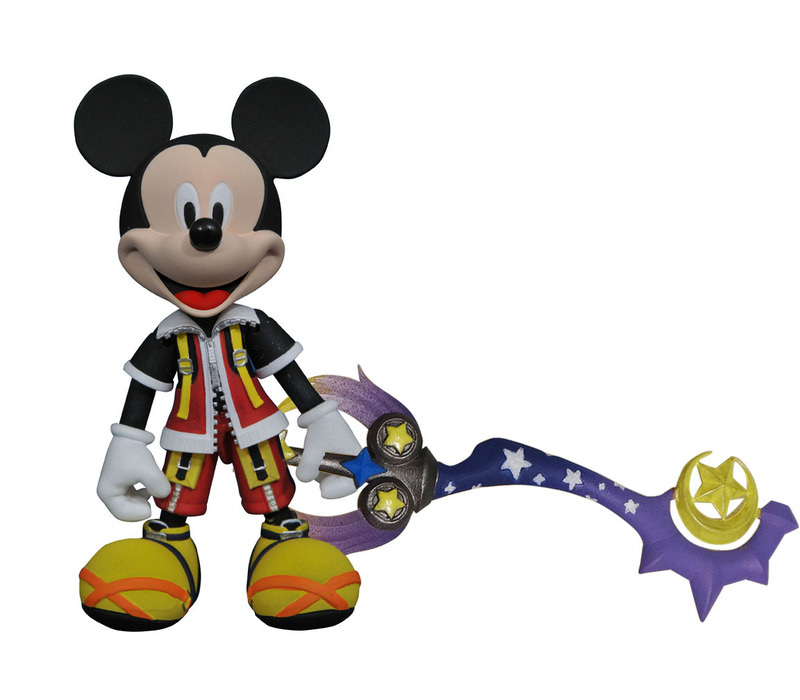 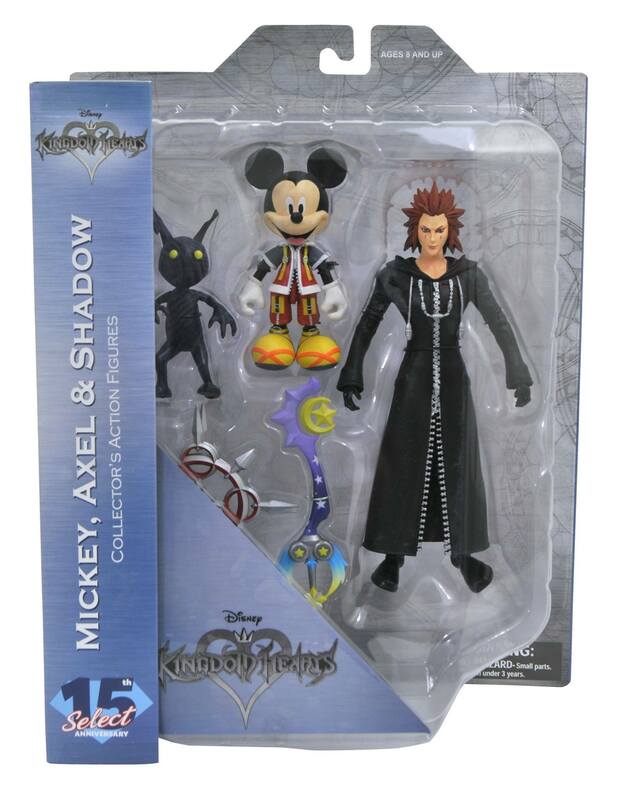 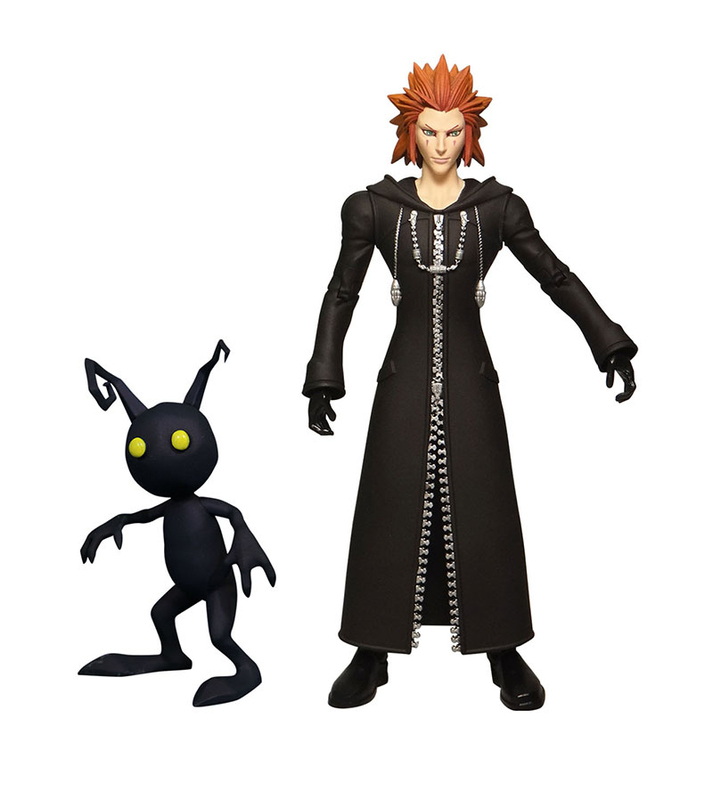 The first set contains Mickey Mouse, Axel, and a Shadow. 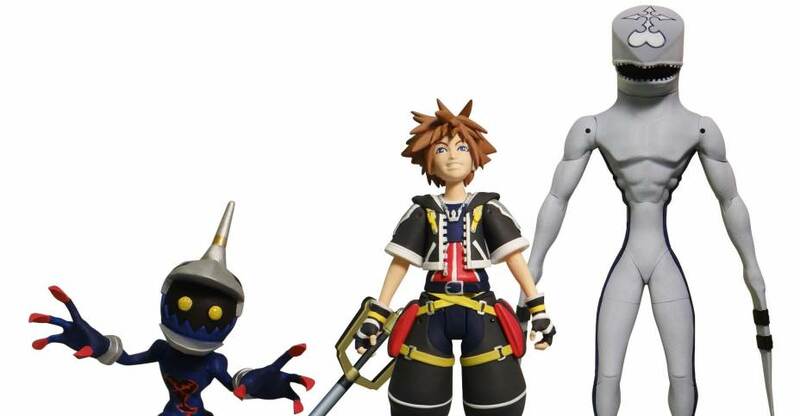 The second set will contain Sora, Dusk, and a Soldier.